Modern smartwatches can make you feel like you’ve entered a science-fiction movie. They look like normal watches but offer far more functionality than you could ever get from a standard watch. A typical smart watch is smarter than you might think, and with several well-known manufacturers entering the smart watch arena, the battle for your wrist has begun. In 2012, the Pebble set new standards for what is possible on crowd-funding websites, and for many consumers, it was the first time they’d ever heard of a smart watch. Since the Pebble, many heavyweights such as Apple have created their own version of the smart watch, and today, you have more than enough options to choose from. If you’re still on the fence and haven’t decided if you need this type of product, then it’s time to take the plunge and get your hands dirty. The smart watch can completely change the way that you handle many activities, and it’s especially useful for consumers who love fitness. The only problem is that you have too many products to choose from, and new products are released often. Since 2014, several popular smart watches have been released, which includes the LG G Watch R, ASUS Zen watch, Android Wear and Samsung Gear S. One of the biggest contenders in the space is the Apple Watch, which was advertised many months before its official release. It’s important to realize that you don’t need an expensive smart watch to enjoy the benefits, but you do need to know what to look for. Although the task of finding the best smart watch can seem daunting, it’s nowhere near as difficult as you might think. Below, you’ll find reviews for 10 of the top smart watches on the market. By choosing from this hand-picked list, you can avoid wasting time and money. The PowerLead Sopo M26 is one of the best affordable smart watches. 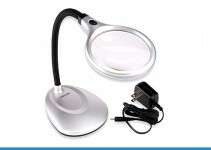 It features an LED touchscreen and offers several useful features. It comes with a built-in thermometer, altimeter, call answer, phone book, pedometer, SMS reminding and music player. It also has a stopwatch, dial, alarm clock and date display. 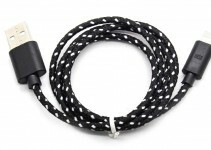 It can connect to your remote Android phone or tablet and supports connectivity with a variety of other devices. You get the BT notification app and can handle calls. This smart watch operates in the 2.4GHz spectrum, and it takes about one hour to charge. It uses Bluetooth 3.0, and with a full charge, you can use it to talk continuously for three hours. It has a rechargeable battery built into the design and will work with your Android system. This smart watch offers a number of different features for fitness, but it’s also great for keeping up with your notifications. You can make calls and handle a variety of tasks that are normally handled by a smartphone. In terms of value for the money, this is one of the best smart watches on the market, and it’s a stylish option. If you’re looking for a smart watch that functions like a smartphone, this could be a great product for you. Since this is a standalone watch, it’s designed to be used without a smartphone. It has its own SIM card and will allow you to send emails, texts and calls. It uses its own wireless connection, and you don’t have to deal with distance limitations. The Luxsure® Bluetooth smart watch has NFC card exchangeability, and it lets you quickly exchange information and business cards. As a standalone smart watch, it has a variety of features to offer. This watch offers a sleep monitor, fitness tracker, sedentary reminder and pedometer. It features a high-performance, stylish design, and it’s made with a sensitive HD touchscreen. The gorgeous display is encased inside of strong, lightweight aluminum, which is connected to a sweat-proof, soft silicone band. Although the Luxsure® Bluetooth smart watch is designed as a standalone product, it can be connected to any Android phone. It will let you sync your contacts, apps and notifications, so you’ll get alerts for emails, texts, calls and Facebook messages. This smart watch has a built-in microphone and speaker, so you can receive and make calls from it. The CPU is strong enough to provide a fluid experience, and the Luxsure® smart watch has enough memory to handle most applications. The Fitbit Blaze is a top product. It’s great for exercise and can be used for a variety of purposes. It lets you check the intensity of your workout, and it continuously monitors your heart rate through your wrist. With multi-sport tracking, you can use it for cardio, biking and running. It even lets you keep track of historic workouts in a simple dashboard. Once you’ve connected a GPS, this smart watch will map out routes and show you a variety of different stats. 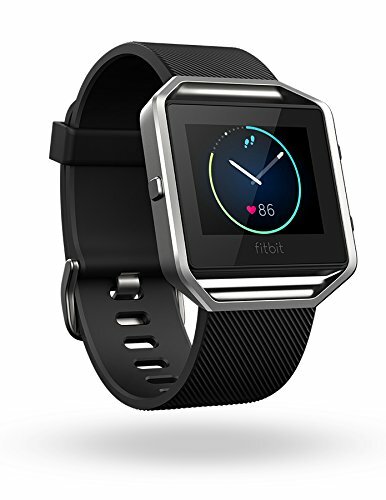 It’s great for tracking floors climbed, calories burned, active minutes, distance and steps. Although it’s very useful for fitness purposes, the Fitbit Blaze lets you handle notifications, calendar alerts, texts and calls. This smart watch offers many of the useful features that you’d expect from a smart watch, but it’s also great for fitness. It uses advanced technology and provides the data needed to improve every workout. It can track your performance stats and gauge your performance. The color touchscreen is easy to use and offers customizable clock faces. It can be used with Windows and Android devices, but these devices need to have Bluetooth 4.0 technology. With a maximum syncing range of 20 feet, the Fitbit Blaze lets you keep your phone at a distance and focus more energy into your workout. 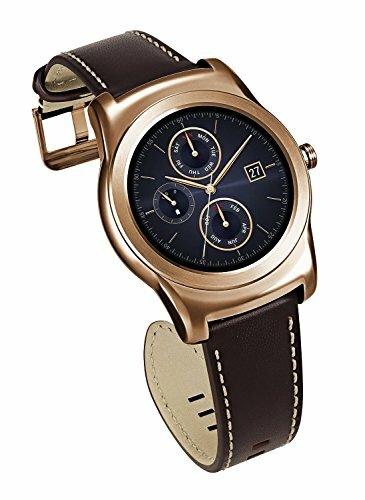 If you’re looking for an affordable smart watch and need it to match your exquisite style, the LG Watch Urbane could be a great choice. Since this is the model with pink gold, it’s a particularly stylish piece. It has a beautiful, eye-catching bezel, and although it’s a smart watch, you can see that it looks more like a classic timepiece. This smart watch uses a P-OLED display and Gorilla glass. The full metal body is designed for durability, and it has a screw-less back cover. The LG Watch Urbane is compatible with Android 4.3 and higher. It could be a great choice for fitness junkies because it has a built-in heart rate monitor. This watch can be synced with applications and sensors, which deliver solid fitness and health data. The LG Watch Urbane looks like a classic timepiece, but it offers several features that you could never get from a standard watch. With environmental biosensors, this watch can detect and track gyroscopic movements and barometric pressure. To give you even more data, it has geomagnetic and accelerometer sensors. You can even use it to stream music that is stored in the internal memory. Many consumers believe a smart watch shouldn’t make you look like you have a small computer attached to your wrist, and the LG Watch Urbane wearable smart watch doesn’t look like a computer. 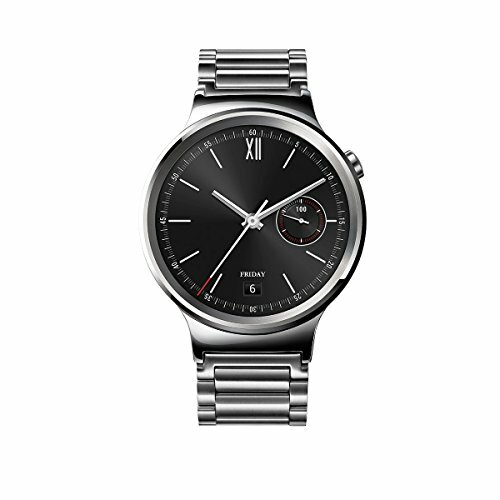 Another smart watch that looks like a classic timepiece is the Huawei Watch. It has a 1.4-inch AMOLED display, and the body is made of scratch-resistant stainless steel. This watch is compatible with devices that have Android 4.3 or iOS 8.2. It’s also compatible with newer operating systems. When you’re wearing this smart watch, you can get notifications for apps, texts ad calls. There are over 4,000 Android Wear apps that you can choose from, and the Huawei Watch comes with several pre-installed watch faces. If you want to customize this product and create your own style, you can choose from several swappable bands. Fitness lovers will enjoy this watch because it offers accurate fitness tracking. With a built-in heart rate monitor, it’s useful for walking, biking, running and cycling. The design for the Huawei Watch is inspired by luxury watches, but the technology is inspired by modern electronics. The goal of the Huawei was to redefine what consumers expected from a smart watch. The company didn’t want to make a smartphone for your wrist, so they created a statement piece. This is one of the best smart watches for running. As the name implies, this watch is a sportier version of the Android Wear smart watch, and it’s marketed to consumers who love to stay active. It displays a variety of notifications and keeps you up to date. It has an LCD touchscreen, and to prevent a catastrophe, the screen is protected with Gorilla Glass 3. The Motorola Moto 360 offers button-free voice control and turn-by-turn navigation. It can monitor your heart rate and activity, which is great for fitness. There are several customizable watch faces to choose from, and the built-in GPS is useful for many different sports activities. The durable case can resist water to a depth of three feet, and the Motorola Moto 360 comes with a wireless charging dock. When you want to go somewhere, this watch uses turn-by-turn navigation to get you there. You can also set up navigation instructions on your phone and use the watch to follow them. The Motorola Moto 360 is compatible with iOS and Android, which offer plenty of flexibility. With the Android Wear OS, this watch has plenty of features to offer, and it could be viewed as the best smart watch for runners. 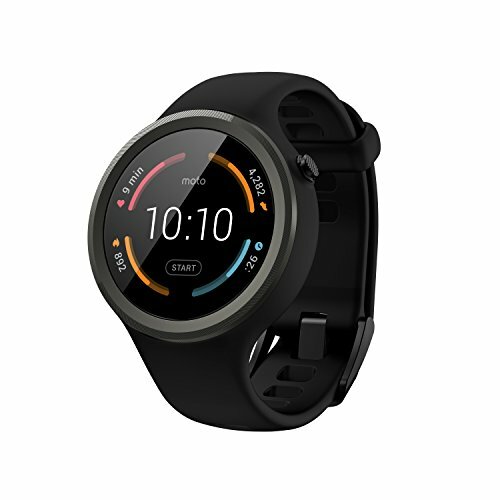 If you’re looking for the most customizable smart watch on the market, you can end your search with the Motorola Moto 360 2nd Gen. This smart watch is designed to streamline your mobile life, and it gives you important information from your mobile device. There are designs for men and women, which makes it easy to find a great style. The 2nd generation Motorola Moto 360 helps you stay updated, but it won’t interrupt your lifestyle. It can give you the latest weather, news and messages, and it eliminates the need to obsessively check your phone. This watch features a round, classic design, and for an exceptional look, it’s made with edge-to-edge glass. A thin bezel completes the look and allows you to see more. 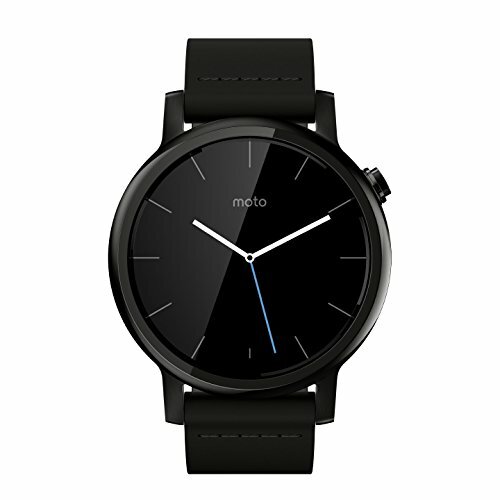 Since the Motorola Moto 360 uses quick-release bands, you can quickly swap out bands and achieve a customized style. It’s compatible with Android Wear apps, so you can have more fun and enjoy an endless selection of features. Consumers can agree that this is the best smart watch for sports. With sophisticated technology, it can continuously monitor your heart rate and use the data to give you detailed information about performance. There is no extra strap needed for accurate heart monitoring, and the accuracy of the device is very high. With a battery life of eight days, you don’t have to worry about recharging. The Garmin Vivoactive HR can track your intensity minutes, which lets you know how long you’ve been active. IT can monitor your progress with aerobic activity and allows you to set important fitness goals. 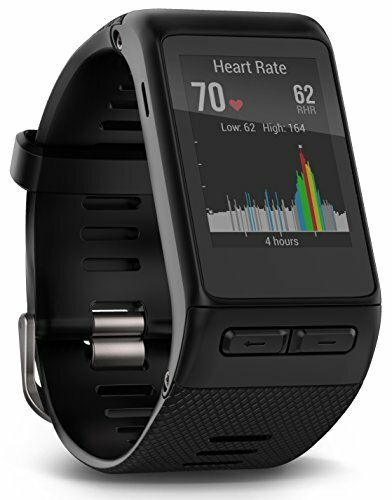 This smart watch is even recommended by several well-known health organizations. It uses smart notifications to let you know about important text messages or calls. When paired with a compatible smartphone, the Garmin Vívoactive HR will make sure that you never miss a beat. The Vector Watch Luna is the best smart watch for battery life, and you have an endless selection of styles to choose from. The battery life for this product is good for 30 days. The lens stays clean because there are no complicated menus. This watch uses a monochrome display and lets you see notifications at a glance. It’s compatible with most Windows 10, Android and iOS smartphones. It offers a full suite of apps, data streams and custom watch faces. You can get access to data streams for social media, time zones and weather. The Vector Watch Luna is even compatible with Evernote, Uber and Nest. It offers several options for fitness, and it can track sleep, distance, calories and activity. Depending on your needs, it can be integrated with Apple Health kit and Google Fit. It’s even capable of collecting GPS data from your phone, which includes altitude, pace and speed data. Although functionality is important, style is one of the best features that this watch has to offer. The final product on the list is the best overall smart watch. When functionality meets style, you end up with the Samsung Gear S2. This watch has a premium finish, elegant curves and great functionality. It features an intuitive circular interface, and for easier navigation, it has a rotating bezel. This watch makes it easy to access important updates, texts and notifications. It has built-in wireless connectivity, and it’s compatible with Bluetooth 4.1 and 2.4GHz wireless connections. 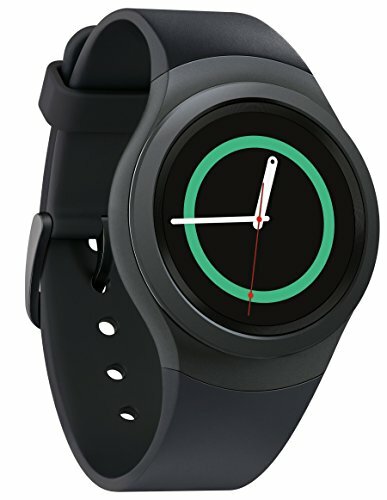 The Samsung Gear S2 can be used with Android 4.4 and later, and with 4GB of RAM, it plays well with most applications. If you’re looking for the best compatibility, you need to connect this watch with Samsung Galaxy devices. Before you consider any other features, it’s important to decide on a platform. Since smart watches are like mini computers, they’re designed to use platforms. 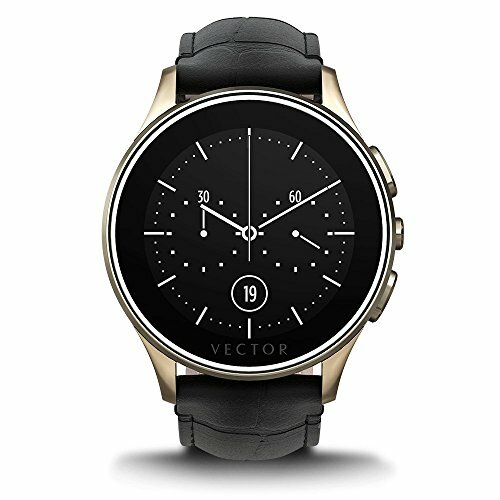 Almost all smartwatches are designed to connect with your phone and alert you to important notifications. It’s important to choose a watch that is compatible with your smartphone, which means it needs to run on the same platform. For example, many smartwatches use the Android platform, and if your phone doesn’t run on the Android platform, you won’t be able to connect the two devices. Another example of this is the Apple smart watch which, again is limited to pairing with only other Apple devices. It’s also rather sensitive and just like your phone we would recommend using a screen protector not just for Apple, but for any smart watch. There are some third-party applications that are designed to fix the issue of platform incompatibility, but it’s much easier to make sure your devices are compatible from the start. It’s worth mentioning that some smart watches use their own SIM card, so they can function as standalone devices. Some smart watches are in a very specific category and will only work with very specific devices. The Samsung Gear 2 and Gear Fit are great examples. To avoid a massive headache, make sure to choose a smart watch with a platform that is compatible with your smartphone. The industry for smart watches is like a technology experiment lab. Companies are constantly testing the limits of technology and releasing new, innovative designs. 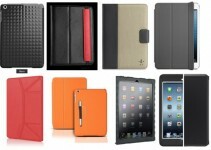 When shopping for these products, the screen is an important feature to consider. A smart watch might have an LCD, retina or e-paper screen. Some watches have a color display while others are black and white. Some smart watches have a screen that can be viewed in direct sunlight, and other devices have a screen that is almost impossible to view in direct sunlight. When it comes to the smart watch, screen size is a huge selling point for consumers because everyone wants a big, bright screen. Since most smart watches aren’t used for browsing the web, watching videos or viewing photos, they don’t need to have a huge screen. These devices are mostly used to read notifications. You can think of it as an accessory for your smartphone. The Android Wear devices are known to have a colorful, bright display, which shows menus, contact photos and rich notifications. If you decide to get the Pebble smart watch, you’ll get an e-paper display. The type of screen that you choose depends on your preferences. If you constantly find yourself moving around in direct sunlight, consider getting an anti-glare, monochrome display, which is available with the MetaWatch. If you decide to get a standalone smart watch, then the display becomes a bit more important. The Omate Truesmart and Neptune Pine are great examples of full-featured Android devices, and with such a variety of features, you’ll want a better display. When shopping for the best smart watch for your needs, consider the hardware. However, this feature isn’t nearly as important as the rest. Smartphones require plenty of RAM and processor power, but smartwatches don’t need nearly as much hardware. You’ll get the best experience from better hardware, but for most consumers, it’s not a major factor in the decision process. As the technology for smart watches becomes more advanced, then hardware will become more important, but for now, you don’t have to pay much attention to it. Most consumers can agree that battery life is extremely important. You might be used to charging your smartphone every day, but smart watches are different because they don’t need to be charged nearly as often. There are some products that will need to be charged every night, but most smart watches can be charged once every two to three days. In other words, the battery life is designed to last longer. Before you decide on a particular product, make sure to check the battery life because you don’t want any unexpected surprises. As the technology for smart watches becomes more advanced, the battery life will get better. If you follow these simple tips, you shouldn’t have any trouble finding the best smart watch for your needs.